Thanks, Jules, for the impetus to get this project done. In fact, after rereading your old post, I realize that my project is so similar that I don’t have much to add. A good idea is a good idea. 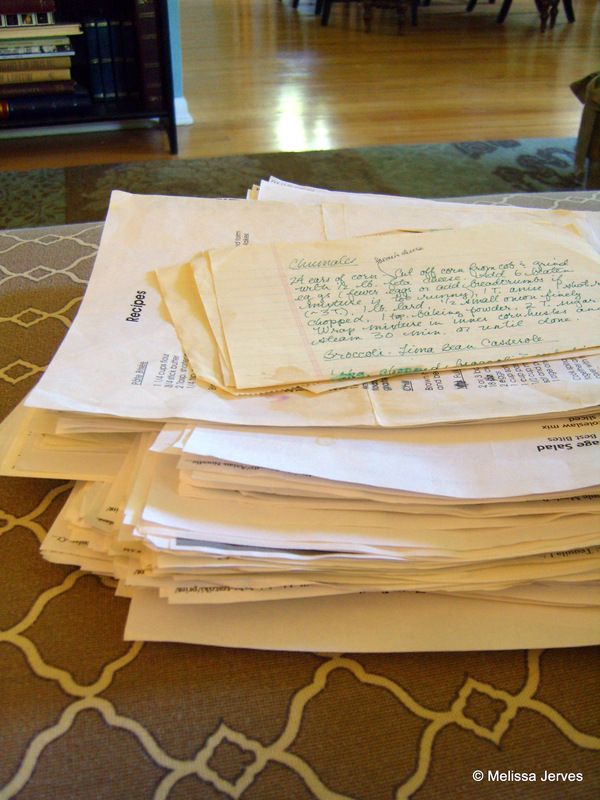 Suffice it to say, I had an old, overstuffed accordion file for recipes, plus a stack that hadn’t been filed at all. It was a mess. I also had multiple printouts of favorite recipes, and a flurry of slips of paper with a cryptic list of ingredients but no title. I was able to decipher a few of these, but others remain a puzzle. I tossed them. I tossed a lot–all the multiples, anything we haven’t made in the past ten years, and anything I remembered as unsuccessful. 20 minutes. Then I sorted and put them into sheet protectors in an old three-inch binder that I found in a bin in the basement. 45 minutes. There’s not a lot of room for the inevitable expansion; I’m going to have to add a second binder. Good thing I have plenty of sheet protectors left. Somewhat jokingly, my husband asked me if I had included an index. So I sat down and typed out a spreadsheet. 15 minutes. I got mired in formatting problems in Google Docs (another 15 minutes completely wasted) and didn’t print the list, but it’s easy enough to consult when I want to. In any case, I’m looking forward to easily pulling out a plastic-encased recipe and not worrying about the spills and splatters. The time I spent on the project was minor compared to the time I’ve spent fruitlessly hunting for misplaced recipes, then Googling and printing another copy. An unintended benefit: my husband has taken the binder upstairs as bedtime reading material. I guess he already finished the latest issue of Food & Wine. That’s awesome! 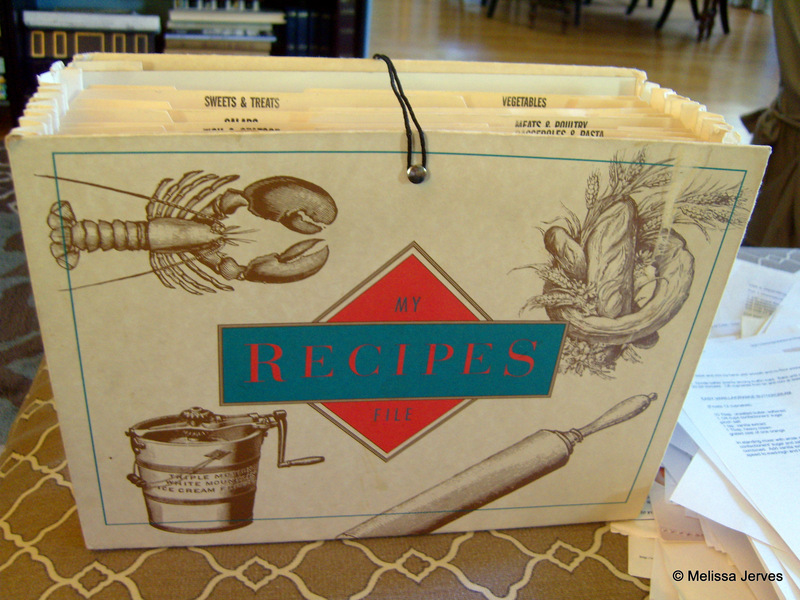 I keep trying different websites and phone apps thinking one of them will revolutionize my recipe files, but I’ve just about concluded that a good ole binder is the way to go! I don’t have a smartphone, and I get recipes from too many sources (some online, some not), so the binder works at this point. I suppose in the future we’ll be propping our iPads up in the kitchen (I know, we could do that now, if we had an iPad, and if I weren’t paranoid about destroying it in the kitchen) or there will be some sort of voice-activated recipe database in the fridge door. Oh, that’s fabulous! Good for you. It really makes life easier having everything organized. I faced the expansion problem too and really didn’t want a giant binder, so I keep my baking recipes separate from my cooking recipes. Thanks for the inspiration, I’m going to do this too! 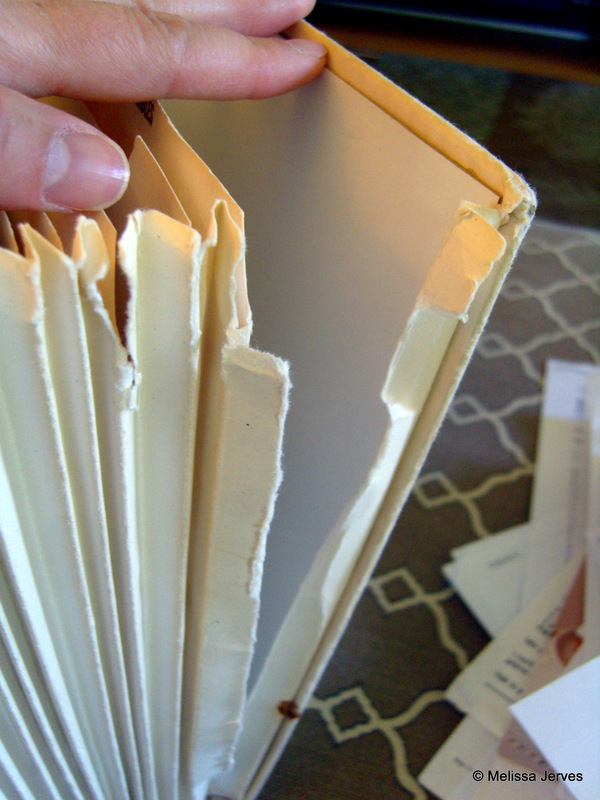 I have a similar binder, stuffed full of recipes and scraps of paper are always falling out of it. I’ll have to do the sheet protectors too. I love handwritten recipes, so I don’t want to just convert them into computer files! I often cook with my laptop open on the counter. Not great. 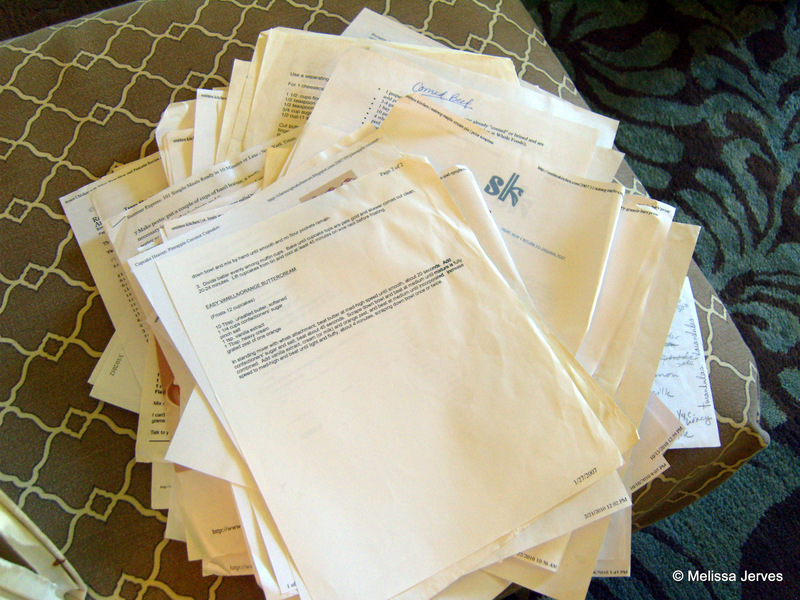 But I guess I went away from paper because I knew I wouldn’t keep it organized. I’m such a reluctant cook to begin with. Sigh. Someday I hope to have need for this organizational tip! Rita, I do that sometimes, too, but I live in constant fear of overturning a bowl of something too close to the computer! I made a binder a few years ago & it’s been a lifesaver! Now, I just need to remember to make notes on what’s been good, and toss what’s meh. Guilt, guilt, guilt….all I can think of is the drawer in my own kitchen that bulges with recipes and needs this treatment! 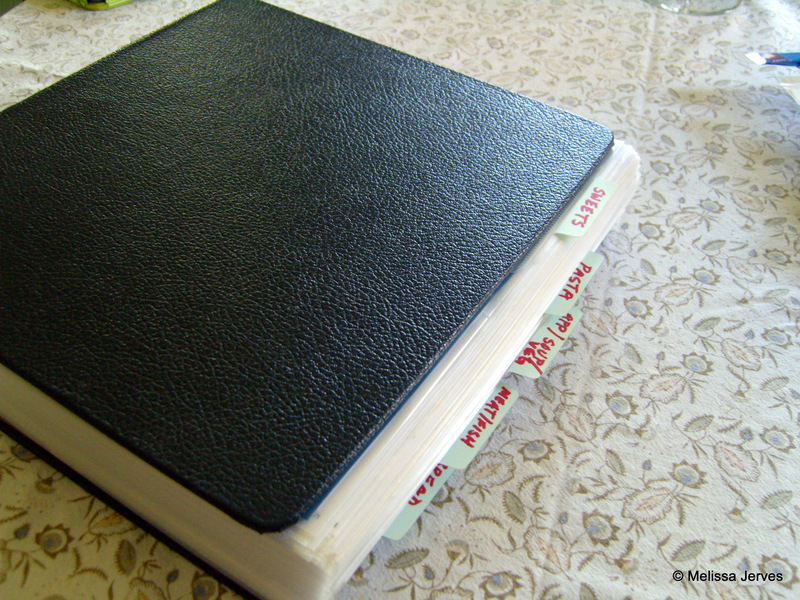 I have used binders for a long time, and have tons of recipes in them. But I unfortunately end up consulting the internet again before going into the binder for something new to try. Now that I switched to using evernote and have over 600 recipes in there, it’s working great. But everyone has to find their own things that work!